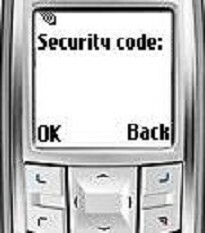 Nokia Phone’s Security code then Try below methods to unlock your nokia mobile phone. your nokia phones master code. unique for each phone and can be used in place for the security/phone code. of the phone by pressing *#06# on your phone. 0000 . this trick work for some phones. I think that this post ‘how to Unlock nokia phone’s security code ‘ is helped you in unlocking your nokia phone. This 3 methods are not working don’t try more ; sometimes it will crash your phone. So just contact any nokia showroom to unlock your phone. tricks to unlock Nokia Phone, then please share it in comments.